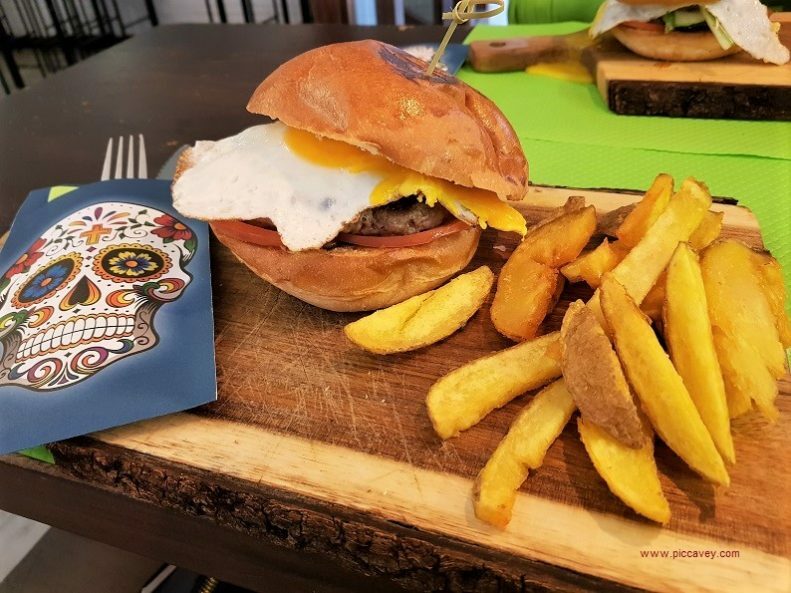 Gourmet Burger options have been appearing more and more in Gastrobars and restaurants in Granada. Alongside more traditional Andalusian dishes on the menu I have been checking out what is so special about these burgers. 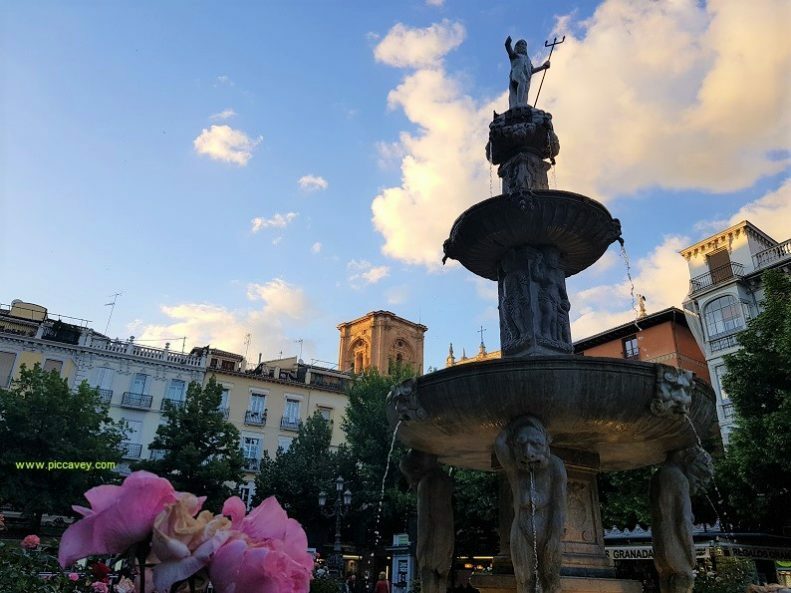 Here´s a selection of four of my current favorites in Granada city centre. You may know of other places that do a mean burger, if so let me know in the comments. 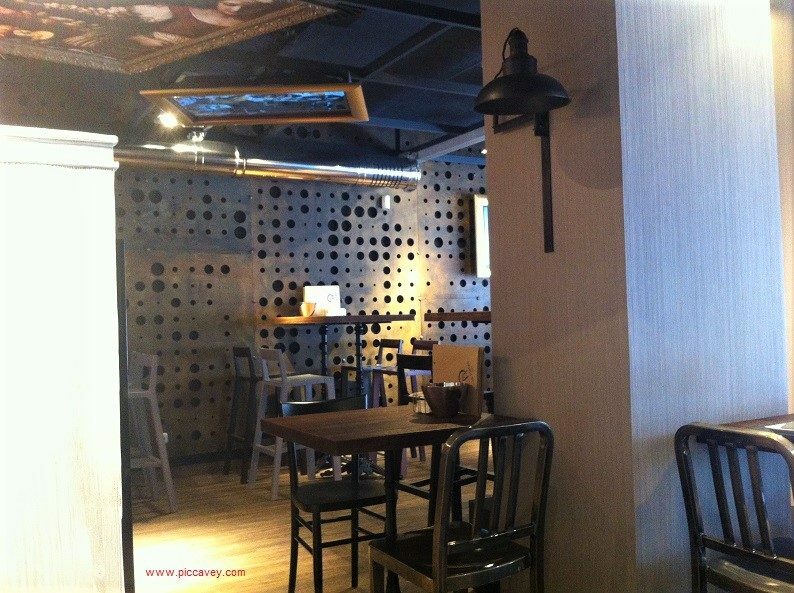 La Platea has two restaurants, one opposite the Forum building on the edge of town near the Science Park Museum. The other one is just off Puerta Real. Both have different menus but both offer burgers. 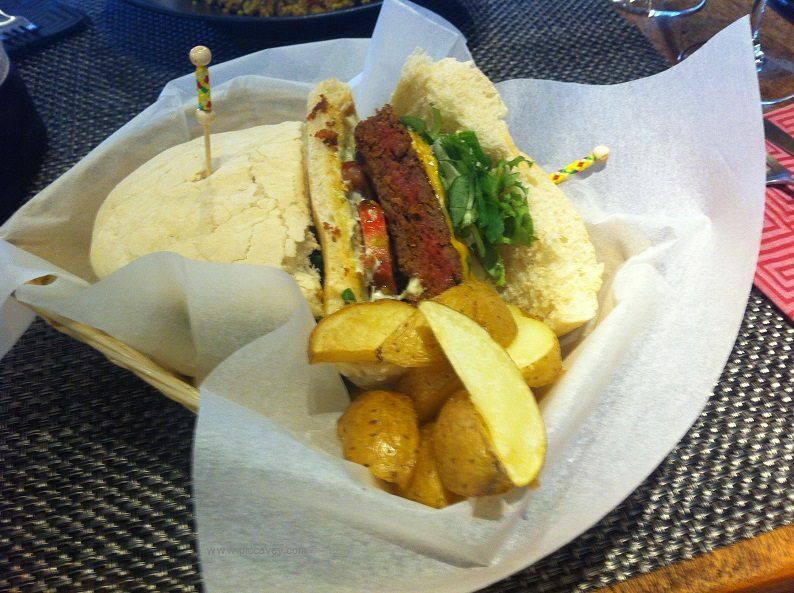 At La Platea Centro the NY style burger is served on Mollete bread from Antequera. It´s an Andalusian New York style burger. 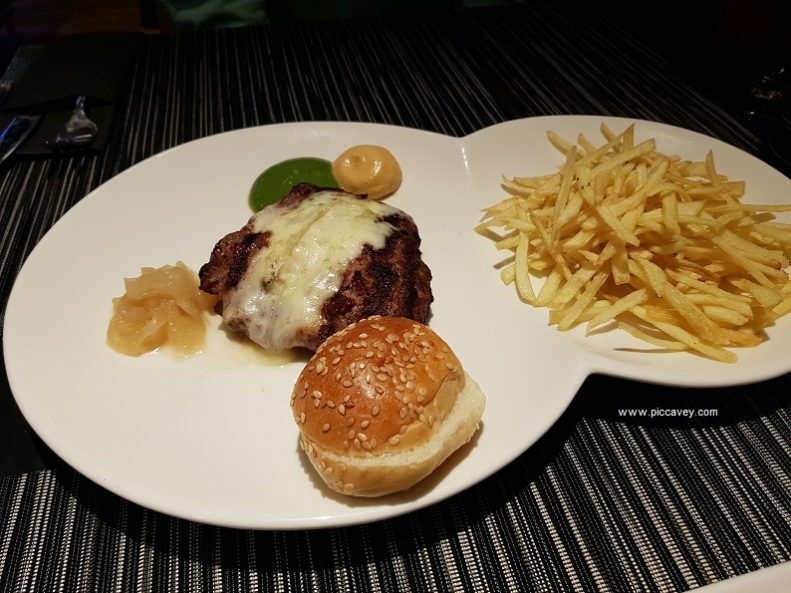 The burger at the Platea Forum restaurant is a smaller size burger with a mustard sauce. The quality never varies I have had both several times and the meat is always the best. This place always cheers me up, with its laid back atmosphere and beachlife vibes. Located just behind the Plaza del Carmen in the Realejo quarter Pura Vida has fabulous gourmet burgers. My personal favourite is the Italian one, with tomatoes and pesto, its delicious. What I also love is that you can choose the meat your prefer between three options. Waygu, National Beef and Angus. Don´t miss the side of Nachos. If you do order one of the burgers which has ketchup, relish it as it is made on the premises from REAL tomatoes. I would recommend booking on weekends or for groups. They now have a service on Deliveroo so you can get home or Airbnb delivery. 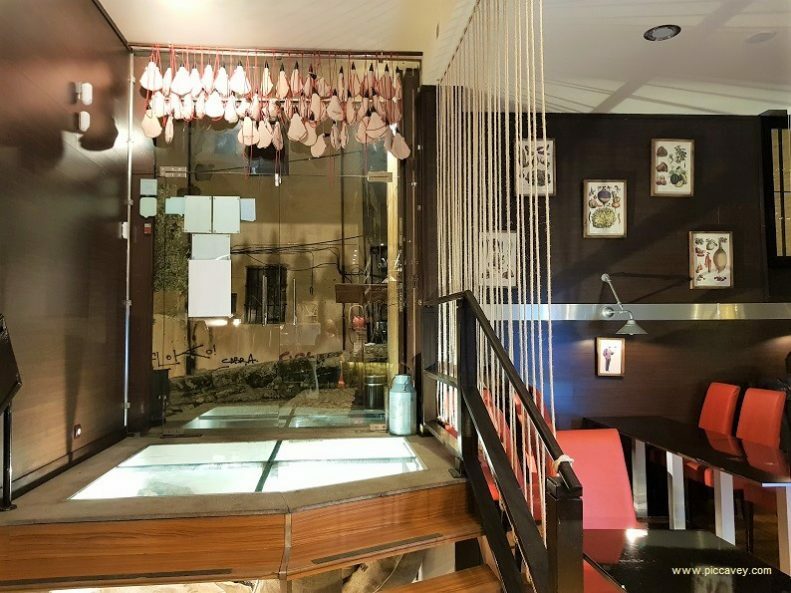 This Meat lovers restaurant opened about 1 year ago and has become popular very quickly. Booking is essential. Not only do they have great ribs, huge steaks they also do some great burgers too. The Big Kahuna and the Black Label ones have been our favourites so far after several visits. Don´t miss the spicy potato wedges, they make the perfect side, even if they are addictive. Plaza Bib Rambla, a large square just below the Cathedral has lots of restaurants and cafés. Locals are dubious about eating their as some say it´s overpriced and touristy. It seems that things are changing. Sibarius offers Japanese and Peruvian cuisine and is certainly not set up for tourists. The ingredients here are top notch. Seafood and meat are visible from the bar. Here they have oysters, sushi and other Spanish cuisine. 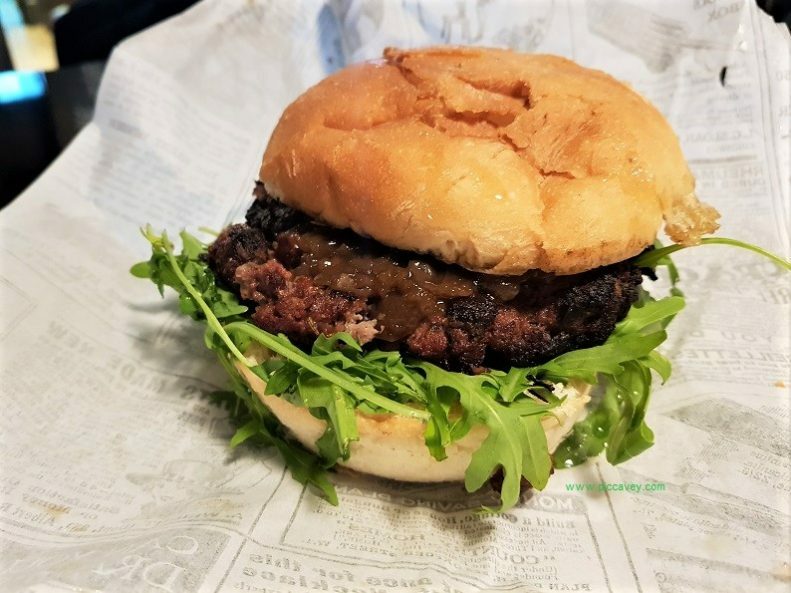 The gourmet burger stands out as it has a smoky carbon flavour, like grilled on an outdoor barbecue. 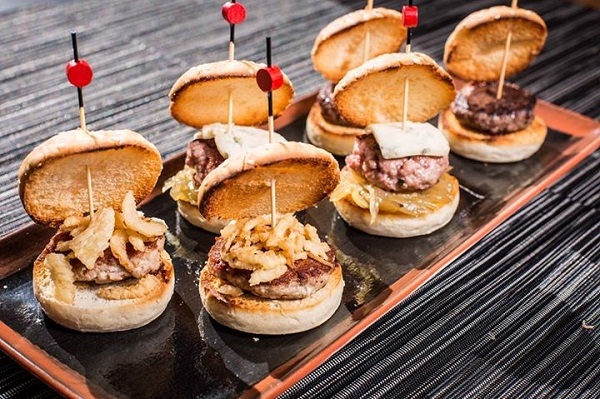 They also have a sharing plate with mini burgers if you are eating with family or a group. Eat inside or out on the terrace overlooking the square. All of these burgers were paid for by me and more importantly eaten by me. Great article. 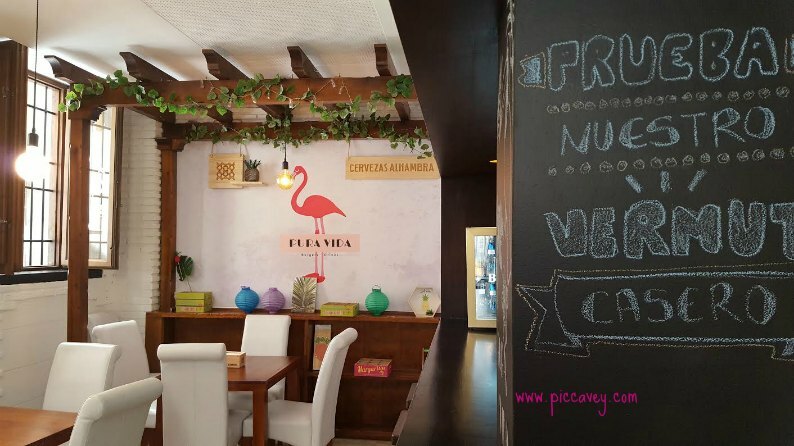 I’ll be in spending a month or so in Granada this summer and will have to try some of these places out! You may want to check opening times if you visit in August, some places close especially around mid month. They all look delish! What’s surprising to me though, is the size of the fries in all the pictures. I’m not into chunky. Is that a European thing? I’m surprised non of the restaurants featured didn’t branch out with a different fry type. Chunky fries are healthy as they have less oil, here fries can be all shapes and sizes from skinny french fries to wedges like these. My faves are the chunky ones. 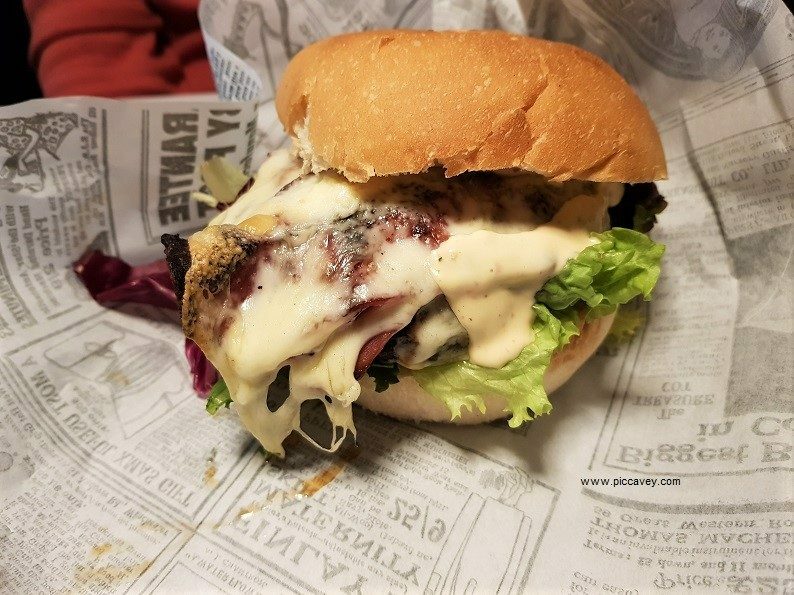 My favorite burger when I lived in Granada was the hamburguesa completa served at El Parque del Vino on Avenida Mediterraneo next to Parque de las Ciencias. I tried burgers throughout the city, but this always remained my favorite!